Charming 3 Bedroom 2 Bath 2 Car Garage, Inviting Great-Room and Formal Dining with Cathedral Ceiling! Wood Look Tile in Large Kitchen with Delightful Nook Overlooking your Private Greenbelt, Pocket Sliders in Great Room A Pass through Window from Kitchen To Lanai. Master Bedroom Wood Floor In Master bedroom Remodeled Master Bathroom Shower Large Dressing Room with Skylight, Double Sinks and Walk-in Closet, Third Bedroom Has Double Sliding Doors with Access to Kitchen Over-sized Side Entry Garage With Pull Down Stairs, Cement Curbing Flower Beds, Whole House Solar Radiant Barrier, Solar Attic Fan, R/O and Water Softener New Roof and A/C in 2015 . 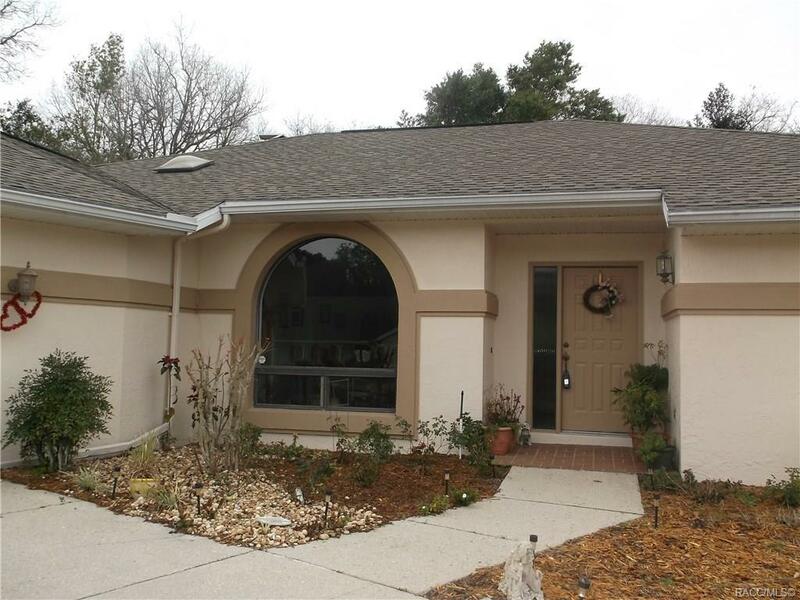 Excellent Location Walk To Community Tennis Courts and Pool.